Loida Nicolas Lewis makes headlines yet again as she calls for President Rodrigo R. Duterte to resign. She says she has the "perfect plan" to help the Philippines. Her latest proposal to end the conflict in Marawi with the Matae terrorist groups is to let President Rodrigo R. Duterte to resign and let Leni Loud Robredo become the new vice president. The first step to getting peace to be done in Mindanao is to let Rodrigo R. Duterte resign so Vice President Leni Robredo can take his place. I believe that there's no other way to defeat the Matae terrorists but by unseating Duterte from power. The soon-would be President Robredo can uplift martial law and we must install Leila Dilemma as transitional vice president. This is all part of the golden age plan where Kris Aquino should become the future president of the Philippines. She will replace her late mother Cory Aquino as the new icon of democracy. I believe that declaring martial law will cause more harm than good. Military intervention isn't necessary against the Matae terrorists. You have to listen to Cheato Gascon and Etta Rosales. They have been defending the human rights of Filipinos for years and now you will give them up to Duterte? Military intervention will only make things worse. I pity the terrorists of Matae where Duterte has to use military intervention. 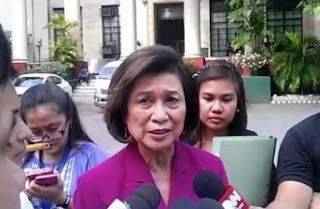 We must let Leila Dilemma and Cheato Gascon go to Mindanao to help stop the chaos. But that will not succeed as long as a dictator like Duterte is in power. Need I mention that at this point, we must have Agnes Callamard to help us in this peace process. Callamard herself is right. Shabu doesn't cause violence. We must also have Professor Carl Hart to help us in this fight for a peaceful Marawi and to defeat the Matae terrorists. The CNN interview resulted to a nationwide outrage. Viewers from Marawi all attacked Lewis' Twitter and other social media accounts. She ended up having a blocking spree and she later commented on Twitter, "How ungrateful are they! Do they not know how much the Liberal Party helped the nation?" The tweet was later shared by Callamard and Hart on their Twitter accounts. Maria Ressa of Rappler tweeted, "Ungrateful people! Do you not know what LP has done for the Pinas?" It was later stated in Callamard's and Lewis' Twitter accounts that they both intend to pay another visit to the Philippines. Whether or not the visit will come soon still remains to be seen. Carl Hart is still unconfirmed if he wants to join Lewis and Callamard for the visit. 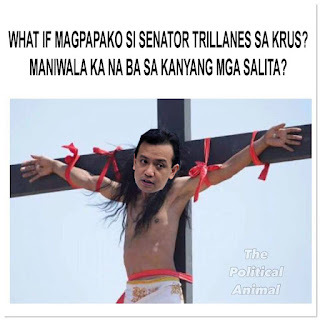 paghilom loida, wara nga naginibuan na matanos an manok mo ma ambison ka pa na ipalit kan prrd. turugi na sana basi pa sa damgo mo maging presidente an leni na pareho mo ewan..
To all commenting here, listen... it's obviously SATIRICAL NEWS. What part of it can't you get? mga sira ulo talaga sila, diba may kasabihan "Animal of the same feather flocks together" meaning mga taong baliw ay nagkakaintindihan...hahaha...this saying is applicable to LP yellowtard.